They're worried about unbudgeted funds -- startup costs of as much as $25,000 per town, plus annual console fees -- required for the system that would alert them to active shooters in schools. 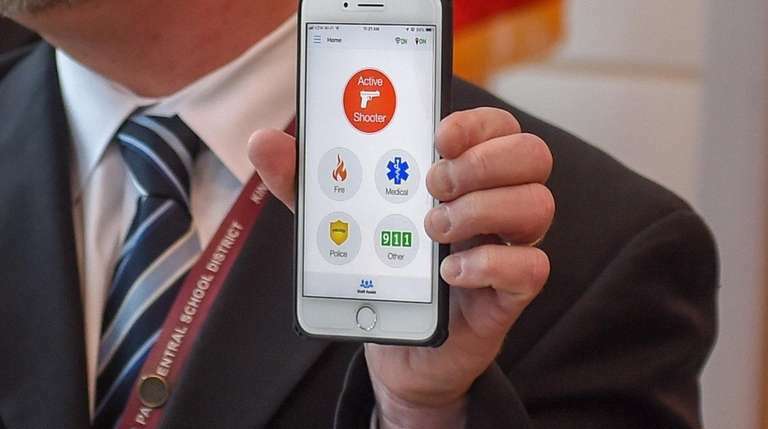 East End police chiefs have complained to Suffolk County lawmakers that a new program to use the Rave app to link schools to law enforcement in active-shooter situations includes “unfunded mandates” that could affect their participation in the program. “While the East End Chiefs of Police wholeheartedly support this application, there are unbudgeted costs for us to be able to receive an Active Shooter Alert,” Riverhead Police Chief David J. Hegermiller said in a letter to county Legis. Al Krupski and Bridget Fleming, both Democrats. The letter lists all five East End town police departments as well as village police in East Hampton, Sag Harbor, Southampton and Westhampton Beach. Krupski, of Cutchogue, and Fleming, of Noyac, said they expect the chiefs to appear Tuesday at the county Legislature's meeting in Riverhead. In his letter, Hegermiller said each town’s dispatching center, formally called Public Safety Answering Points, would have to pay a one-time $5,000 fee and $4,000 to install Rave software at each public safety console. Startup costs for each town could be as much as $25,000, with console fees recurring annually, he said. Suffolk County police officials who attended the legislature’s Public Safety Committee meeting Thursday were unaware of the East End chiefs’ concerns. County Executive Steve Bellone this month said 90 percent of Suffolk schools have signed up for the smartphone system, which allows teachers and administrators to call 911 and simultaneously alert other authorities about active-shooter situations or other emergency events. In July, Bellone signed legislation to issue $2 million in bonding to pay for licensing fees for the Rave panic button for public and private schools across the county. 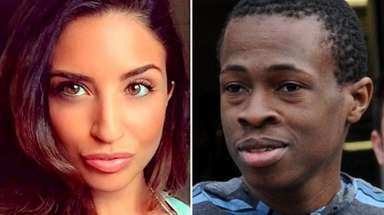 “All schools in Suffolk County, no matter the location, have the option to utilize the Rave Panic Button and the lifesaving and time features,” said Mary Kate Guilfoyle, a Bellone spokeswoman. “While there are additional benefits that can be realized by Public Safety Answering Points for an additional cost, Suffolk County is committed to working with all our partners to ensure the success of this app and continues to review grant opportunities for the entire system,” Guilfoyle said. However, Legis. Robert Trotta (R-Fort Salonga) criticized Bellone for imposing new costs on towns. “Bellone complains about mandates from the state, and here he goes doing the same thing to the towns,” Trotta said.